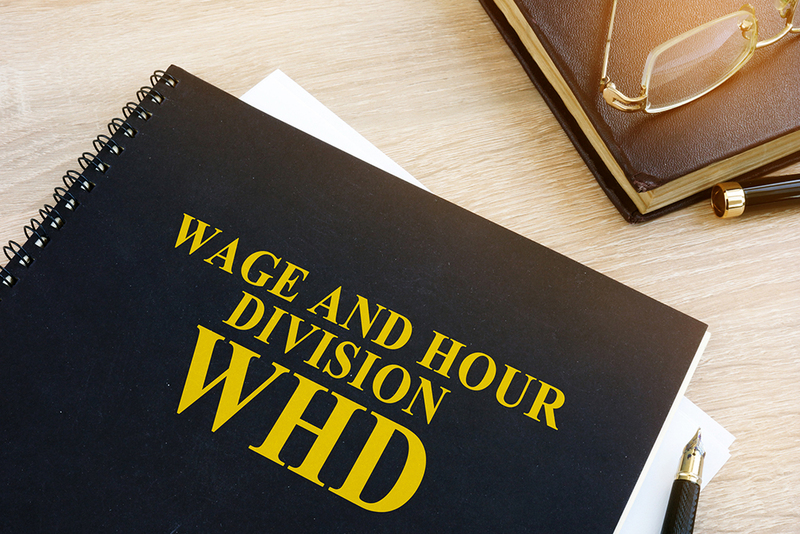 The U.S. Department of Labor (DOL) performs wage and hour audits of employers by selecting them at random, or because they are in targeted industries (usually low-wage), or as a result of a complaint from an employee or former employee. The investigations have increased significantly over the past few years and can result in orders for back wages and penalties. What steps should you take when the DOL comes knocking (generally with no prior notice)? Read on and you’ll learn! The DOL may send a letter at the start of an audit and ask for a variety of documentation to perform a “desk audit,” which means they will likely not come into your place of business. You must provide all documentation sought or negotiate a compromise about what will be produced. If you don’t reach a compromise or produce the documents requested, the DOL can obtain a subpoena forcing you to produce them. This usually results in the auditor characterizing the employer as uncooperative, which can result in more aggressive enforcement, including back wages, liquidated damages, “willful” findings, and civil monetary penalties. At that point, you’ve lost your ability to negotiate for less or easier-to-produce data. The DOL doesn’t always initiate an audit with a letter request for information. Sometimes, an agency investigator will show up unannounced on your doorstep and ask to start looking at data and interviewing witnesses. How do you deal with these potentially costly, disruptive investigations and requests for detailed pay information? Here’s how. Step 1: Immediately call your employment legal counsel. They will know the process and can provide privileged legal and strategic advice. They may know the auditor and be able to provide useful information on the auditor’s “style.” Your counsel can also help you negotiate a narrower data production than initially requested and get a deadline extension if needed. They can also fill you in on what to expect and where you can “push back.” To reduce your stress, you can request that the agency go through your counsel for everything related to the audit. The auditors are used to this and won’t think you are trying to hide something. Step 2: Analyze the documentation request. Is it overly burdensome? It always looks that way but often is not. Get your payroll service involved in responding to the requests. Provide the information in a useful format, preferably electronic, that the auditor can easily examine. If documents truly don’t exist or are nearly impossible to provide, explain why and negotiate for alternative information or a format that is easier to obtain. Proposing a narrower scope, if there’s a rational reason, can be successful. The more cooperative you are, the less likely it is that the auditor will insist on a personal visit, disrupting your workplace. Step 3: If the DOL shows up on your doorstep without notice, you do not have to let them in—at least not that day. Especially if you have a legitimate reason that the audit will not be effective that day, a delay may be acceptable. Operational issues such as a major project or product deadline that day or week, a customer visit that prevents staff from being available, inability to access the data that day or in the preferred format, and absent staff who are necessary for the audit are all valid reasons to propose a delay. On the other hand, if you can make time and have some data available, offer it up and cooperate as much as possible. Offer to reschedule the visit so you can be prepared at a more convenient time, or you can often arrange to provide the information to the auditor in electronic or other more convenient format than is available that day. This may preclude the need for a potentially disruptive site visit. Step 5: Be diplomatic. Apologize for any missing information or delay in providing data. Do not stonewall, and avoid being antagonistic or hostile. Follow these steps, and you’ll have a much better chance of resolving the DOL audit successfully without back wages, liquidated damages, a third year of liability, or civil monetary penalties being assessed. Chrys A. Martin is a Partner at Davis Wright and Tremaine LLP. She is also a contributor to the Alaska Employment Law Letter. She may be reached at chrysmartin@dwt.com. Sheehan Sullivan is a Partner at Davis Wright and Tremaine LLP. She is also a contributor to the Alaska Employment Law Letter. She may be reached at sulls@dwt.com .